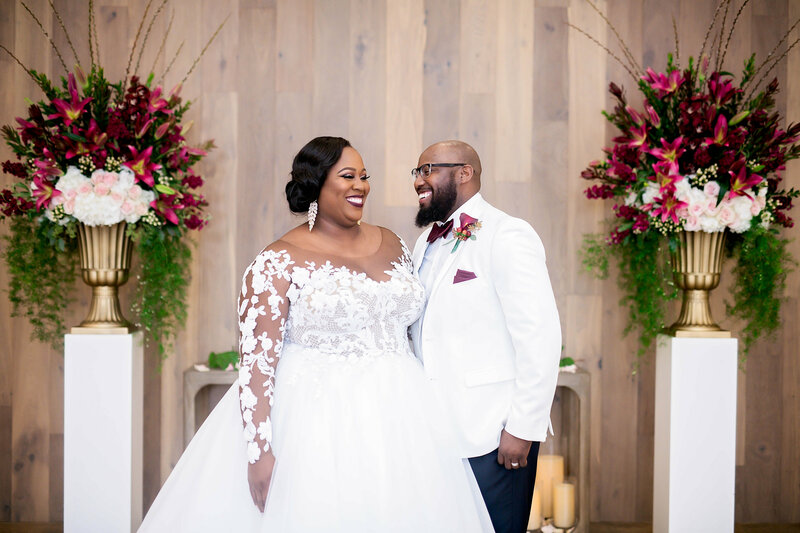 A “lifelong goal” of competing for and winning an Olympic gold medal is in the books for shot putter Michelle Carter, and now so is marriage. 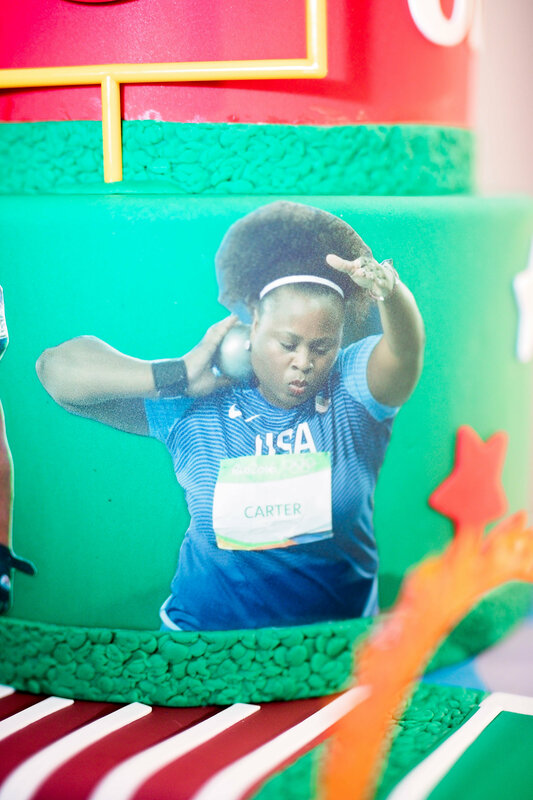 Carter, 33, took the world by storm at the 2016 Rio de Janeiro Games when she became the first female U.S. shot putter to win gold since the women’s competition began in 1948. 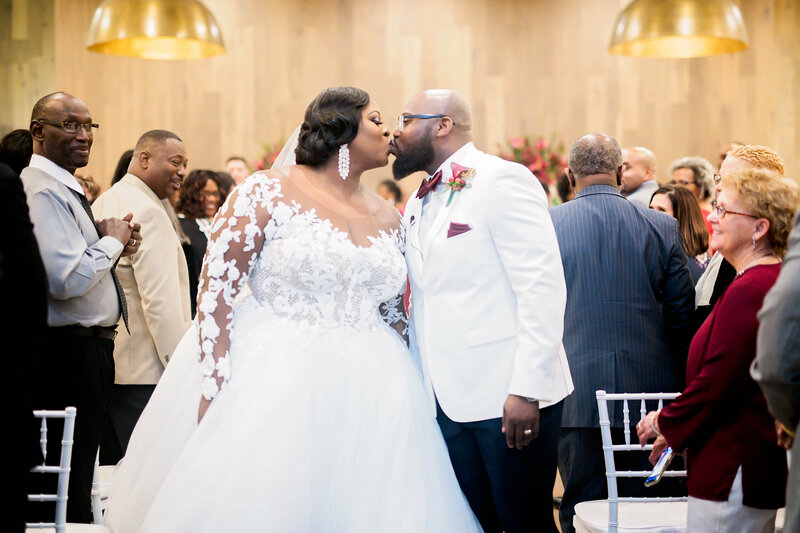 Her groom, Courtney Elder, swept her off her feet after decades of a friendship that ended in nuptials on Jan. 25 in Dallas. 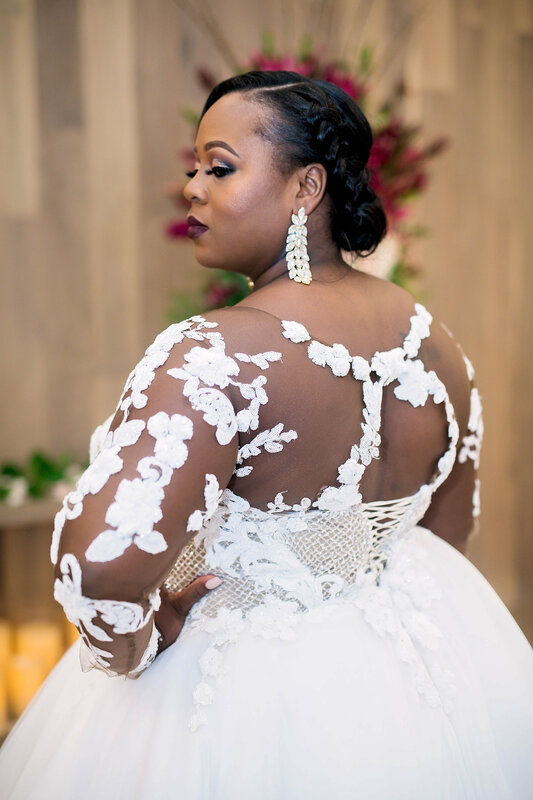 Photographed by Kariss and Josh Farris of Pharris Photographs, the wedding was a whimsical affair shared with friends and family. 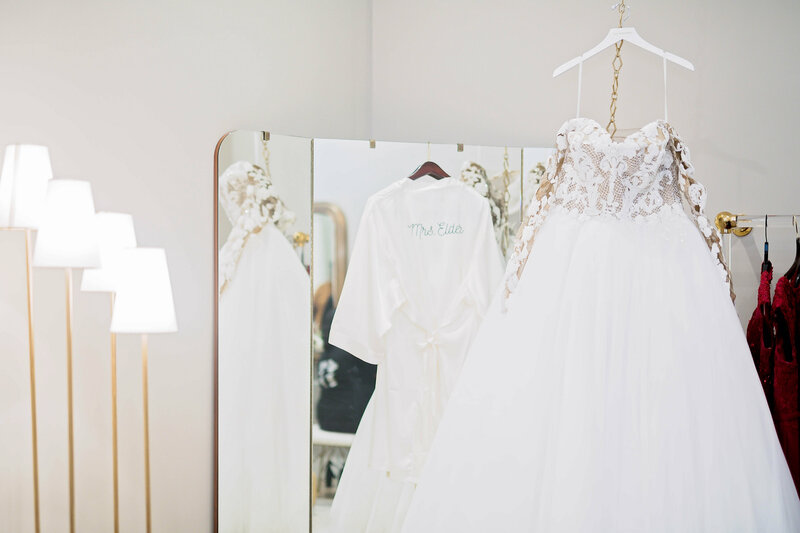 Their love story and special day are both chronicled in this gallery. When 5-year-old Michelle Carter was just a child at Oak Cliff Bible Fellowship church, she was friends with a quiet Courtney Elder. She smiles as she recalls the innocent memories they shared. There was this one Sunday where Elder arrived late to church with only two empty seats awaiting. The one right beside Michelle was where he chose to sit. Their friendship started early and would continue throughout high school and college. 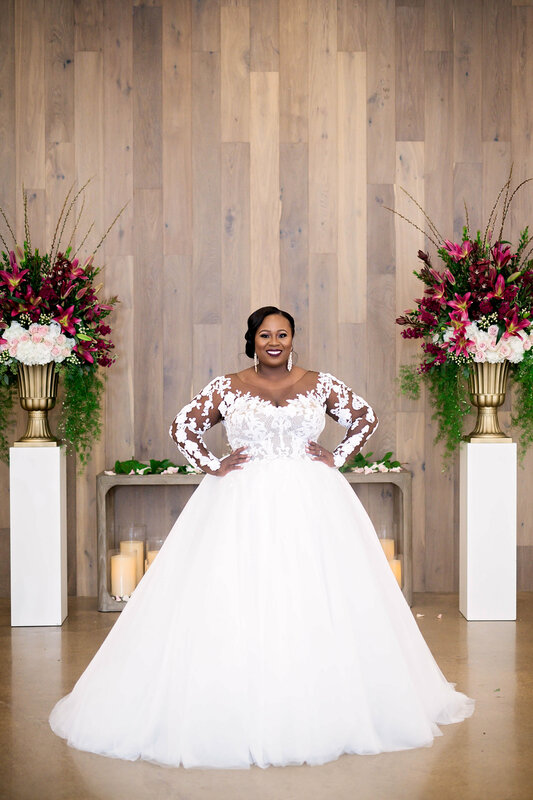 Enthused to approach the altar donning a dress from famed designer Esé Azénabor Atelier, Carter beamed with excitement just minutes before her ceremony. Courtney Elder, a high school and college football star, attended Lehigh University in Bethlehem, Pennsylvania, where besides the football team, he was part of the Student Athletic Executive Council. 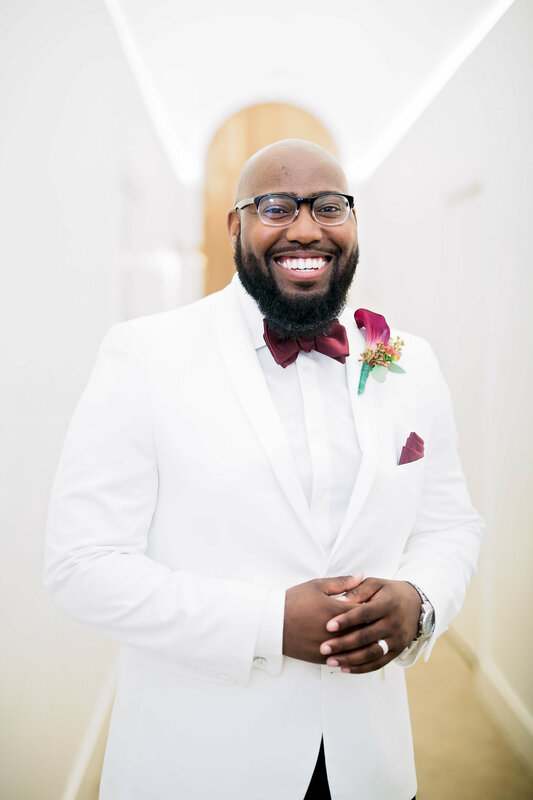 He earned a bachelor’s degree in psychology with a minor in theater and went on to West Virginia University, adding a master’s degree in community counseling and psychotherapy to his collection. Staying in touch with Carter, he knew his path would eventually lead him back to his hometown. 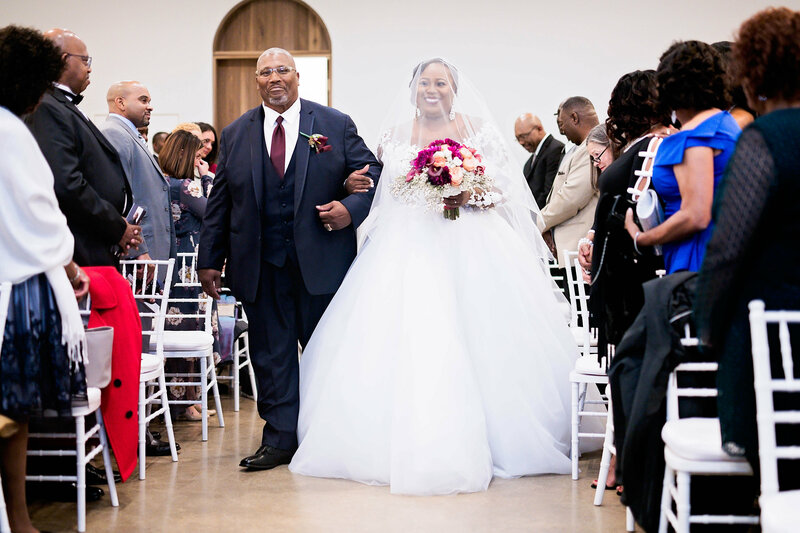 Right outside of Carter’s dressing room, her father, former shot putter and Super Bowl champion Michael Carter, took her hand. 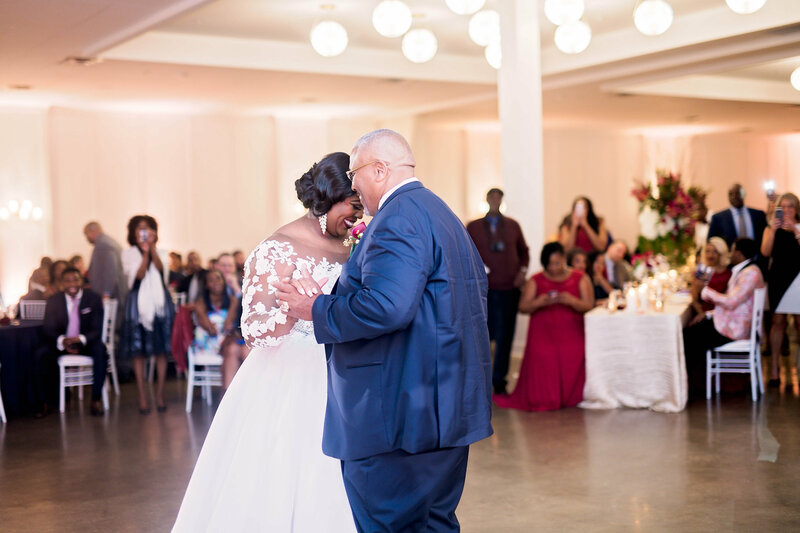 In traditional fashion, he walked his daughter down the aisle on a journey to become Michelle Elder. Michael Carter won the men’s shot put silver medal while representing Team USA at the 1984 Olympic Games in Los Angeles and also played for the San Francisco 49ers from 1984 to 1992, winning three Super Bowls and earning three Pro Bowl selections. 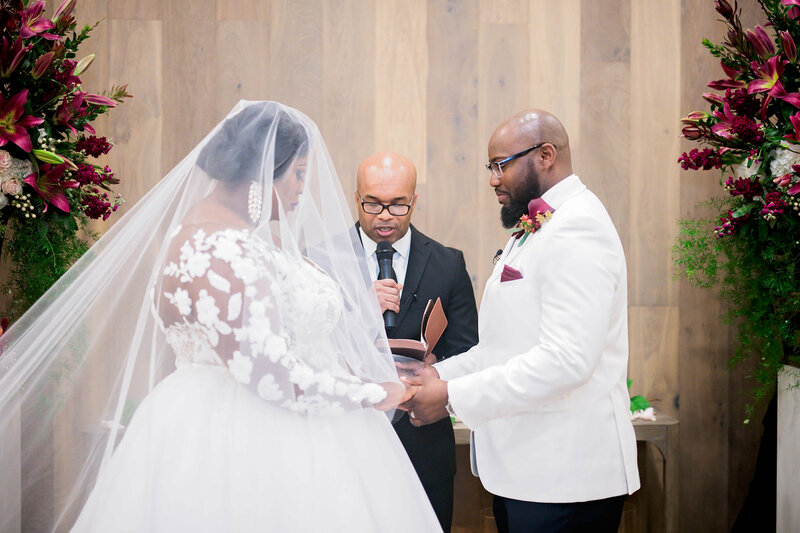 As Carter and Elder pray and recitee their vows, they both realize they are nearing the end of a ceremony that would unite them as husband and wife. As the story is told to The Undefeated, at the end of February 2016, Elder moved back to Dallas. He was settling back into in Texas while Carter was traveling the world and competing. In the spring of 2016, Carter saw a story on Elder’s Snapchat. He had gone bowling while he was in Oklahoma traveling for business, apparently alone. Carter sent him messages with trash-talk about his bowling scores that she saw on his Snapchat story. Elder responded with a bowling invite when they were both back in Dallas. The newlyweds remember their journey. Shortly after making history, Carter returned to her hometown of Dallas, where it was business as usual. 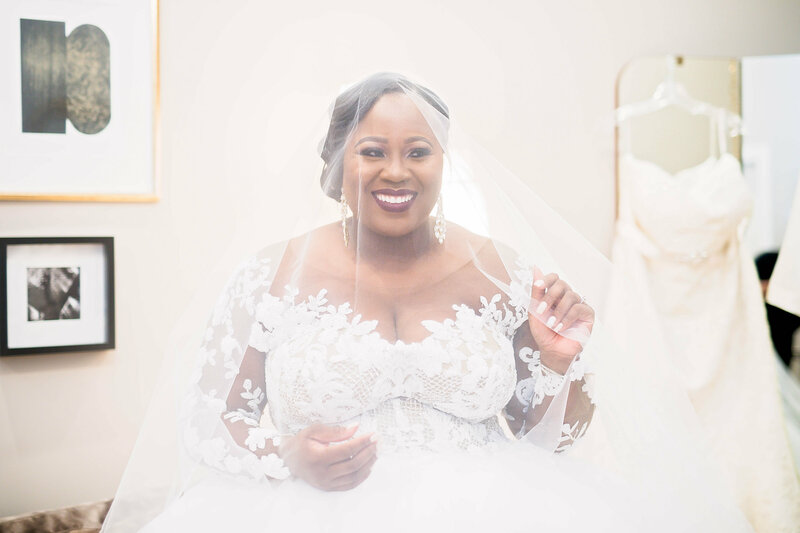 Thrust into a lifestyle that now included more appearances and public speaking engagements, she never anticipated that a budding romance with a childhood friend would take off. On Oct. 12, 2016, Elder returned home from a business trip. He called to wish Carter happy birthday and learned she was having dinner with friends. “Great, I’ll swing through,” Elder said. Carter was unaware she was on a date, but Elder and his persistence kept reminding her with the question, “How are you enjoying our first date?” The very next day, Carter invited Elder to fill in as the fourth member of a golf team in a celebrity tournament. Elder accepted, and that marked the day of their second date. Two years later, the two were planning to become #ElderlyEverAfter. 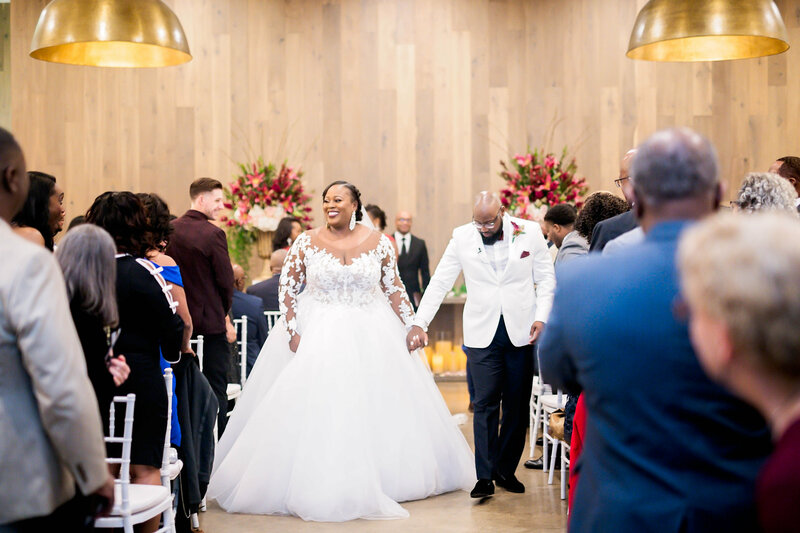 The two asked their friends and family to take part in the ceremony, and they happily accepted. 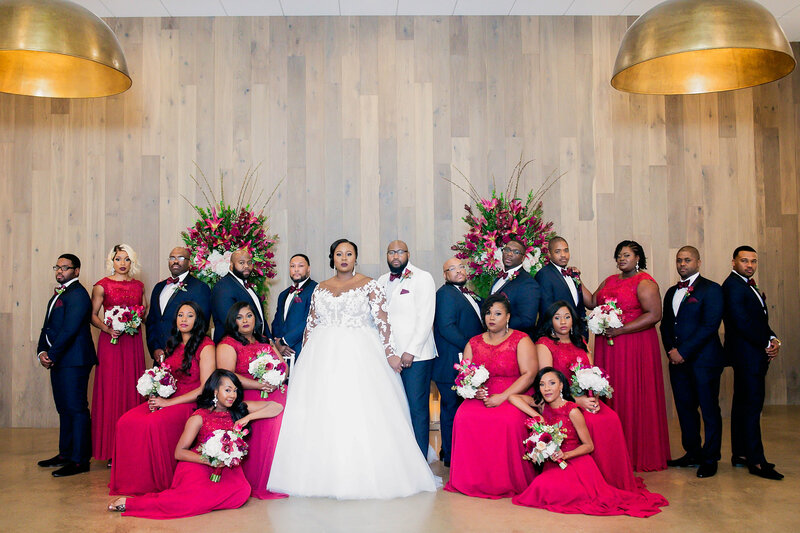 Held at Hall on Dragon, a Design District venue in Dallas, the wedding party included track and field Olympians Natasha Hastings and Gia-Lewis Smallwood and author and motivational speaker Ocielia Gibson. 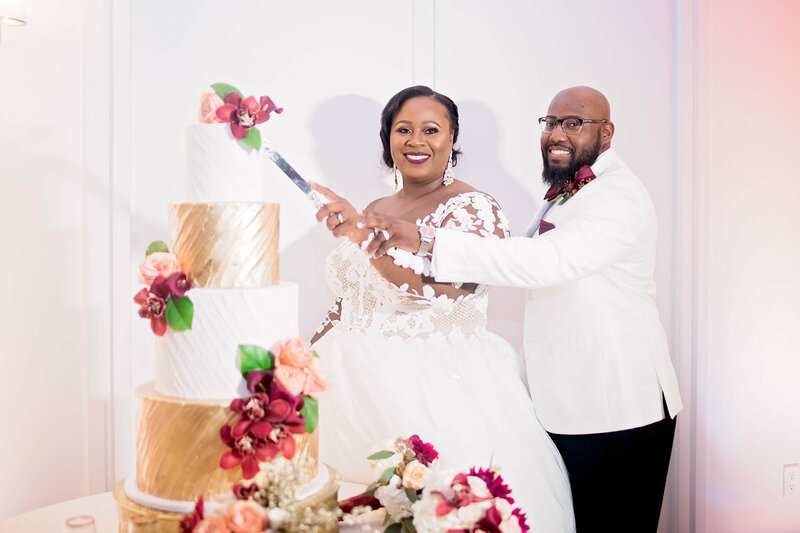 The bride’s cake was made by Sugar Bee Sweets Bakery in Dallas. 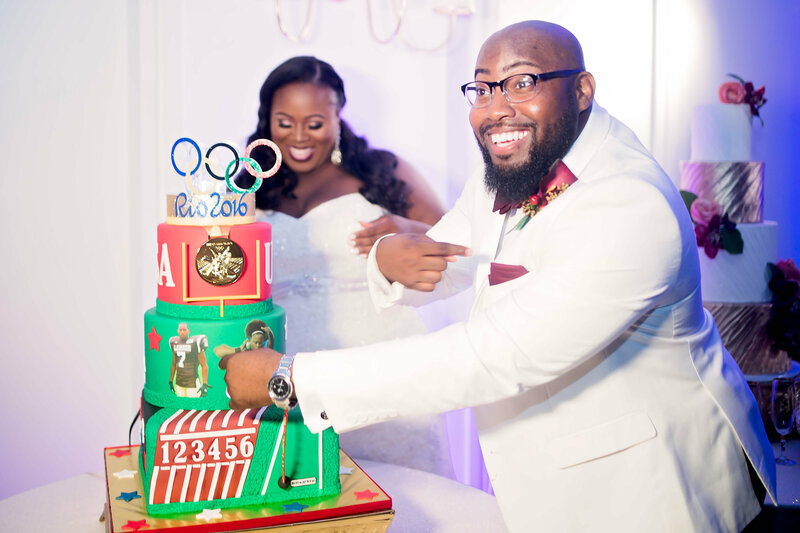 The Olympic cake, made by Cake Daddy DFW, combined the sports worlds of Carter and Elder. Carter made her first Olympic team in 2008. She captured gold in 2013 at the USA Indoor and USA Outdoor Championships. 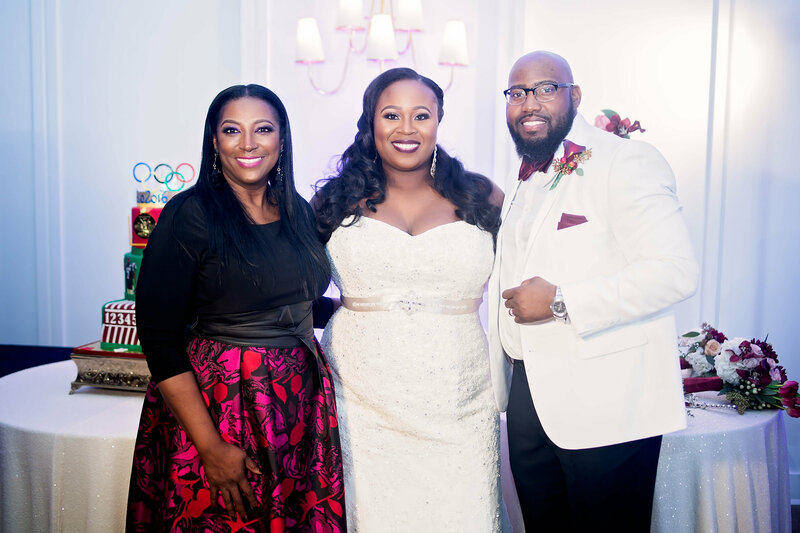 In 2015, she won her sixth USATF Outdoor Championship and took home the bronze medal at the IAAF World Championships in Beijing. 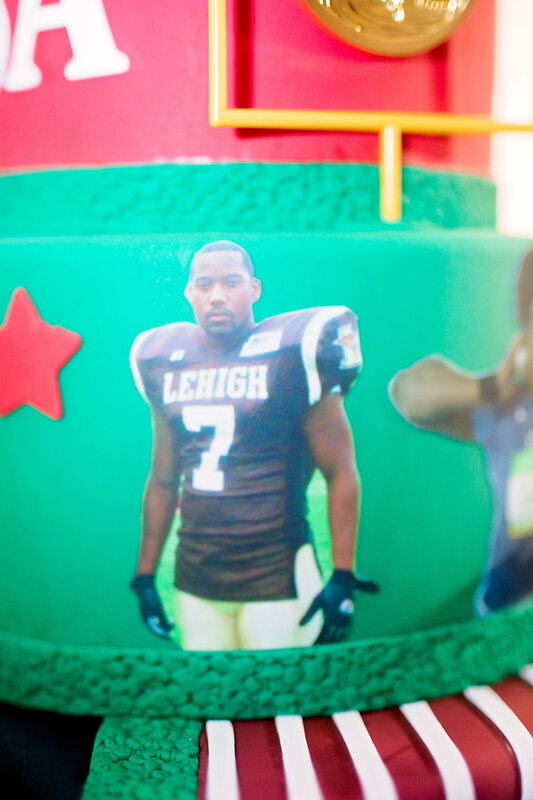 Elder’s sports days were represented on the cake. 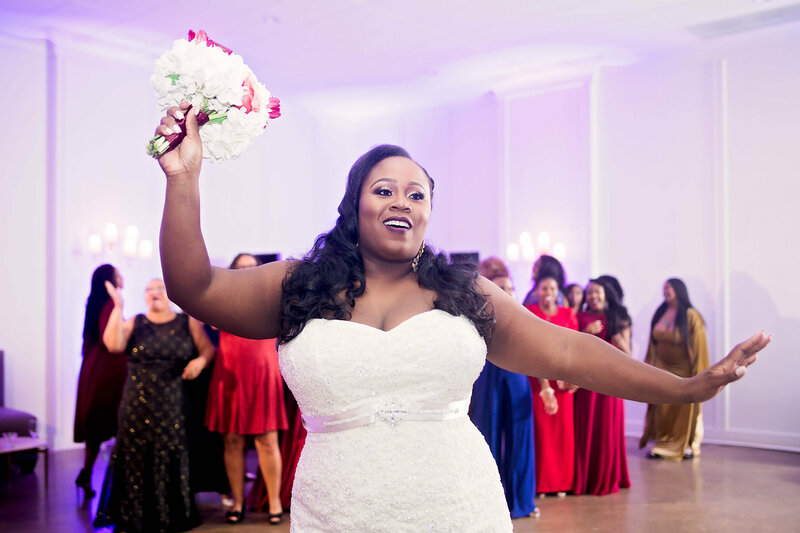 From Carter to Elder, the two look forward to their happily ever after.